Scripture is replete with promises that God has made to His people. 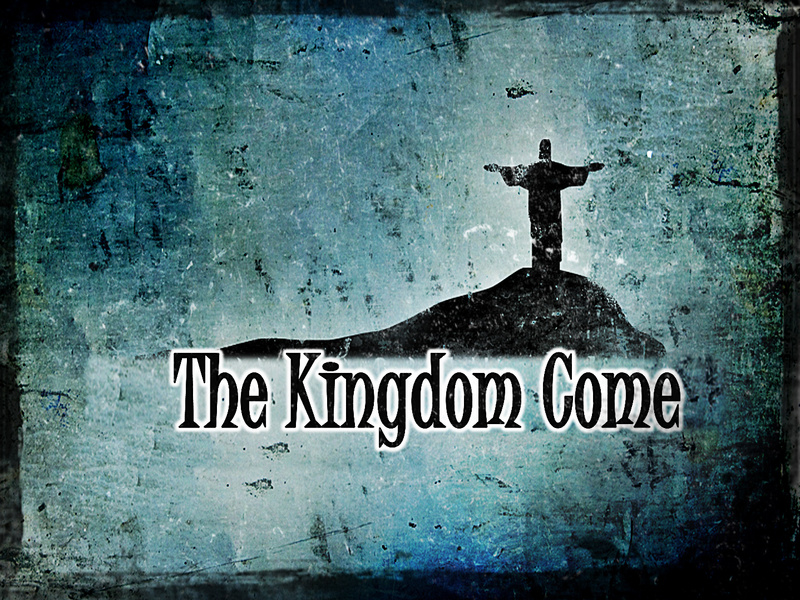 One of the great promises is that He will establish a Righteous Kingdom. This, as Jesus taught, was the purpose for which He was sent. When Christ told Pilate that “My kingdom is not of this world” He made it very clear that His Kingdom was not what we see around us. I very much praise God for that. Rather than focus on what it is not, however, I would like to focus on what the Holy Spirit has revealed to us as to what it is. I will let you decide if we are currently in Christ’s Kingdom. Who will reign? God had promised the Jewish people a Messiah. It was God’s promise of hope that He would restore a righteous Kingdom for His people. That promise was fulfilled in the Lord Jesus Christ. Jesus is the One who was promised from the foundation of the world, to redeem man from sin and its consequences, and to restore the kingdom that was lost because of sin, and reign over all the earth. In the Psalm 2, the Father speaking to the Son, says, “Ask of me, and I will make the nations your heritage, and the ends of the earth your possession.” (Psalm 2:8). That promise will be fulfilled as Jesus Christ shall reign from sea to sea, and to the uttermost parts of the earth. There is yet more good news because the saints of the Most High God shall partake of His reign with Him (1 Corinthians 6:2-3). Scripture does much to describe the Kingdom that we are to long for. Jesus will rule His Kingdom with an “iron rod”. Jesus directed us to pray to the Father ‘Your kingdom come, your will be done, on earth as it is in Heaven.” Our praying should be for Christ to return and to establish His earthly kingdom, to put down sin and enforce obedience to God’s will. The Lord will then “rule them with a rod of iron”. He will rule His earthly Kingdom as in Heaven. He will rule with a rod of iron. Christ’s Kingdom is a time of “regeneration”. It is a time of “refreshing”. God’s Kingdom is a coming time of Peace. It will be a time when Satan is bound and no longer free to roam the earth. Psalm 72 – the essence of the promises – Peter in Acts Chapter 2 preached that David well understood that a righteous King would reign according to the Covenant that God had made with him. David, “Being therefore a prophet, and knowing that God had sworn with an oath to him that he would set one of his descendants on his throne, 31 he foresaw and spoke about the resurrection of the Christ, that he was not abandoned to Hades, nor did his flesh see corruption.” (Acts 2:30-31) The king that is here attested to in Psalm 72 could only be the King of Kings, the only one that could rule a kingdom which is here described. In His days the righteous will flourish and peace will abound. This King will rule from sea to sea and all kings will bow down to Him and all nations serve Him. He will deliver the needy when he calls, the poor and him who has no helper. He will have pity on the weak and the needy, and He will save the lives of the needy. From oppression and violence he will redeem their life, and precious is their blood in his sight. I will leave it for you to judge whether we are now in this kingdom. I will leave it for you to judge whether there is currently reigning a righteous King who is reigning with an iron scepter or rod of iron. I will leave it for you to judge whether Satan is bound in this age. ← Has the Devil been bound in the Church Age? Trusting what God’s Word clearly teaches.